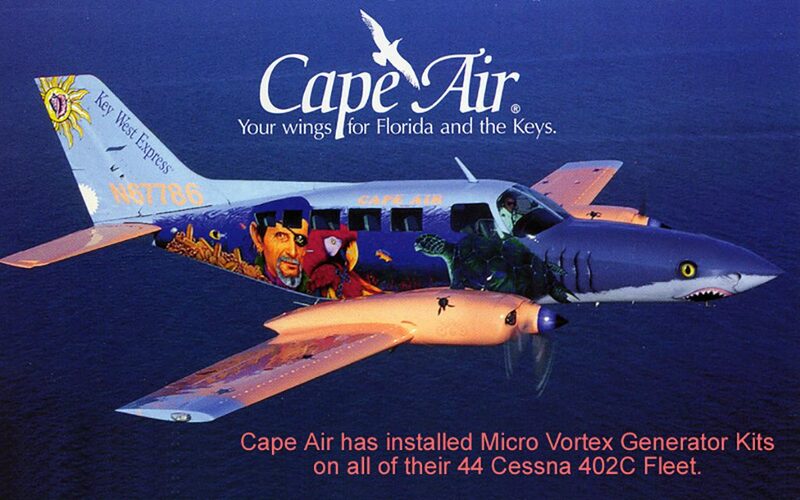 Cape Air has installed Micro VG Kits on fleet Cessna 402C's. Micro's VG Kit for the Cessna 402C provides virtual elimination of Vmc, a dramatic improvement in characteristics, reduced stall speeds, reduced accelerate/stop distance, and improved safety. You also get a 360 pound Gross Weight Increase. Our kit consists of 118 vortex generators mounted on the wings, just aft of the boot line and on both sides of the vertical stabilizer, plus four strakes on the inside and outside of the engine nacelles. 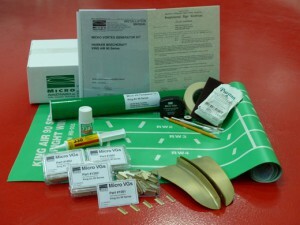 The Micro VG Kit includes an FAA approved Pilot's Operating Handbook Supplement (POHS). Cape Air Fly's to beautiful destinations across Cape Cod and the Islands, New England, Eastern Montana, Midwest, Florida, Caribbean and Micronesia. Operating a fleet of 83 Cessna 402s, 4 Britten-Norman Islanders and 2 ATRs, with up to 525 flights per day during high season. Last year Cape Air carried over 686,000 passengers, making them one of the largest regional airlines in the United States. This entry was posted in Micro AeroDynamics on December 15, 2016 by Staff.